On Sunday 25th October, we were well supported for our Annual Community Bulb Planting which is just as well as we had hundreds of bulbs to plant at the bottom of Brynlow Drive and our hope that 'Many hands would make light work' became a reality. 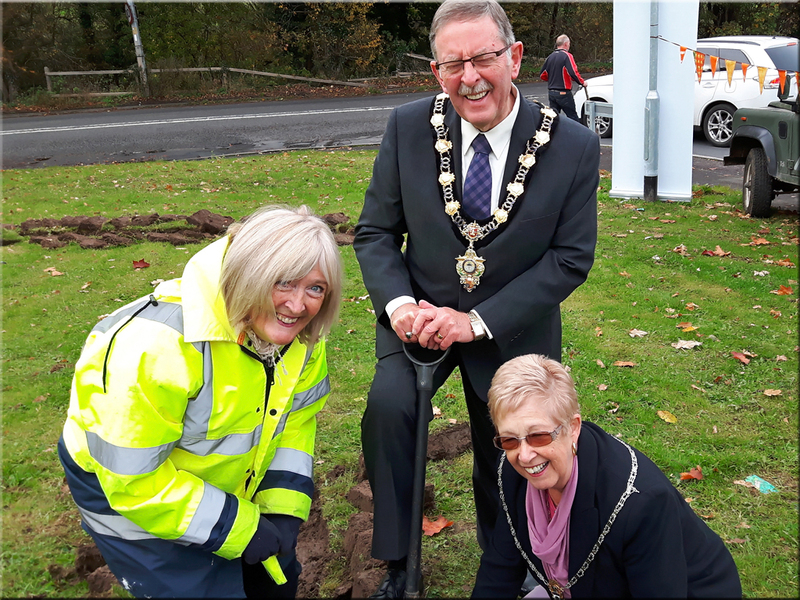 Middlewich's Mayor Ken Kingston and his consort Sue Johns presided over events as the enthusiastic volunteers of all ages got to work planting the bulbs in the rows of prepared holes. This is a community event and anyone that is willing to join in is always welcome. It well be lovely to see a plendid display of blooms to welcome in the spring next year. 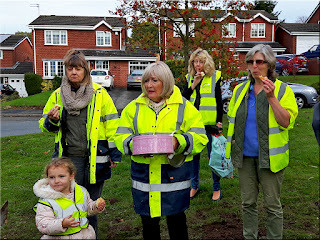 Janet's lemon drizzle cake is famous in the Middlewich Clean Team and beyond so a job well done was duly rewarded with the mouth watering delight. Many thanks to everyone involved in making our annual bulb planting possible one again. 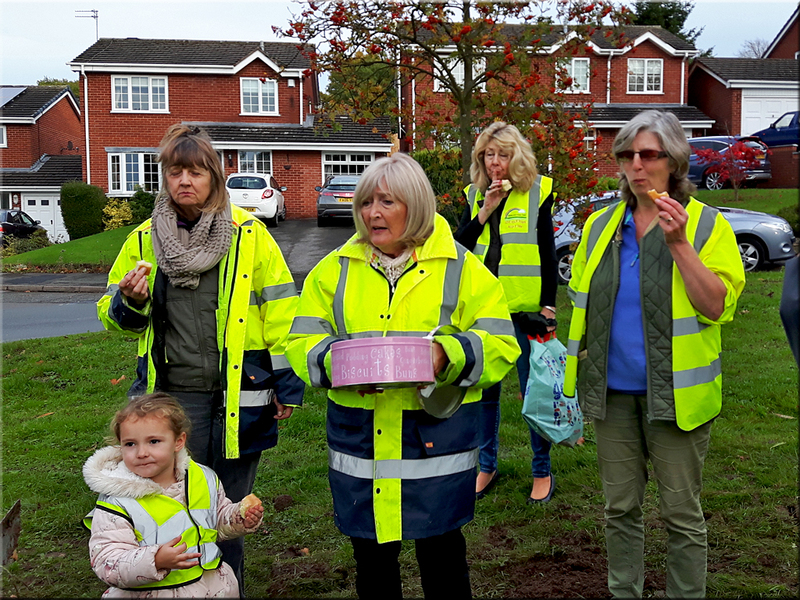 The Middlewich Clean Team is a voluntary group with a vision to develop and promote a culture of pride in the town and the community by working towards a litter free town and a pleasant environment for all to live in. 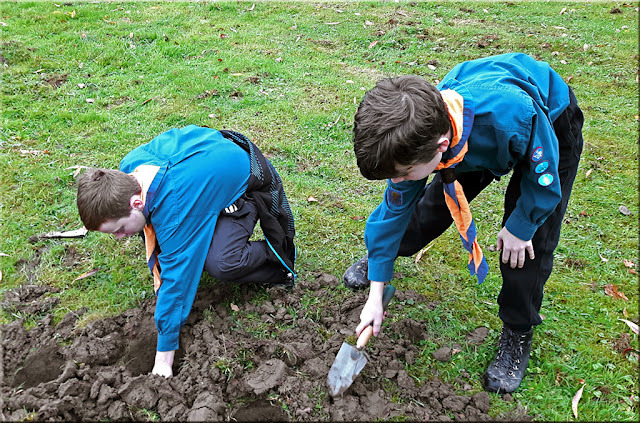 We are a positive, forward thinking group who are prepared to work hard to achieve our aims. 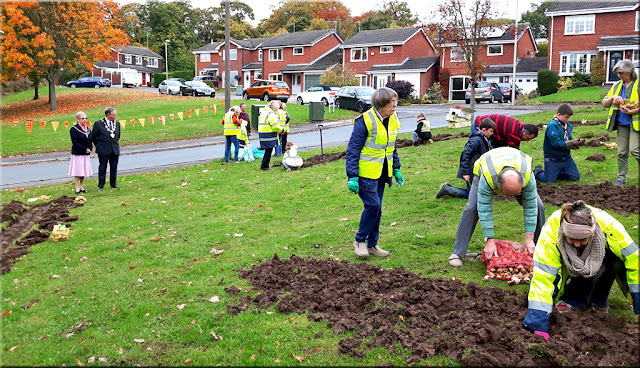 As well as planting bulbs and organising litter picks, we also encourage and support individuals to help us in whatever way they can, whether by picking litter in their immediate area, joining group litter picks or by highlighting problem areas. Anyone can help us and if you would like to know more you can find out how to contact us here. 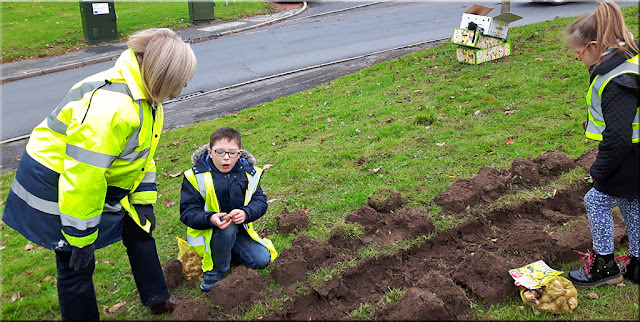 We will be holding our Annual Community Bulb Planting. This year we will be planting hundreds of bulbs on land at the bottom of Brynlow Drive. 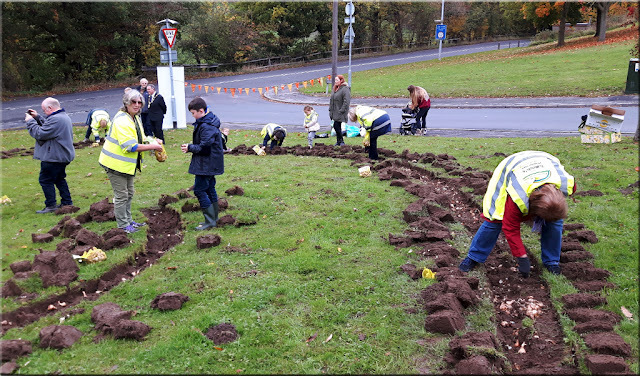 The saying 'Many hands make light work' is especially true at our planting sessions so please do try to come along. Please bring a trowel and plenty of enthusiasm – everyone is welcome. Just a quick reminder - our next litter pick is Saturday 17th October, meet in Salt Cellar Car Park at 2pm. Hope lots of you will be able to make this litter pick on Saturday.